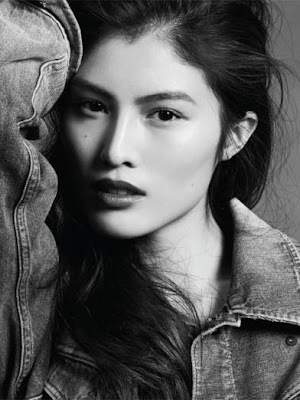 Twenty three year old Sui He has accomplished in the relatively short space of two years, what most models can only ever dream of achieving in the span of their careers. The statuesque 177 cm beauty was recently named the face of Shisheido cosmetics and is one of the most in demand models on and off the runway. He has managed to successfully navigate the worlds of high fashion and commercial modelling with two consecutive appearances in the Victoria's Secret Runway Show and riveting cover appearances for Muse, V Magazine, W, i-D, Pop and Vogue China. Along the way, He's flawless and classically beautiful features have been captured by industry heavyweights; Mario Testino, Terry Richardson, Patrick Demarchelier, Mert Alas & Marcus Piggott, Inez Van Lamsweerde & Vinoodh Matadin, Nick Knight, Hans Feurer, and Daniele Duella & Iango Henzi. 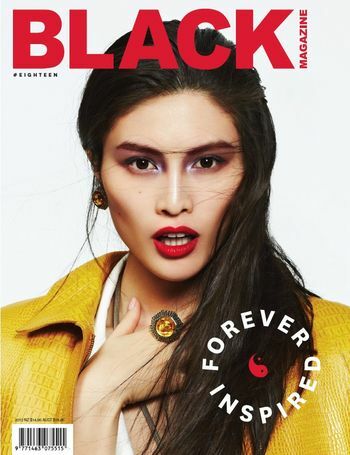 This month, He continues her dream run of editorial and cover appearances with Issue 18 of Black Magazine lensed by Michael Schwartz. Photographed in a mix of casual attire and high fashion runway looks, He demonstrates the versatility, magnetic beauty and understated elegance which ensures her a place in modelling's inner circle of true supermodel contenders .